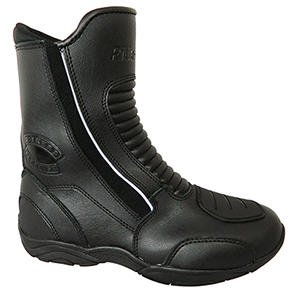 The first thing to say about the Rida-Tec Hawk Waterproof boot is that it's so comfortable from the off! You put your foot in and it instantly feels snug and supported. 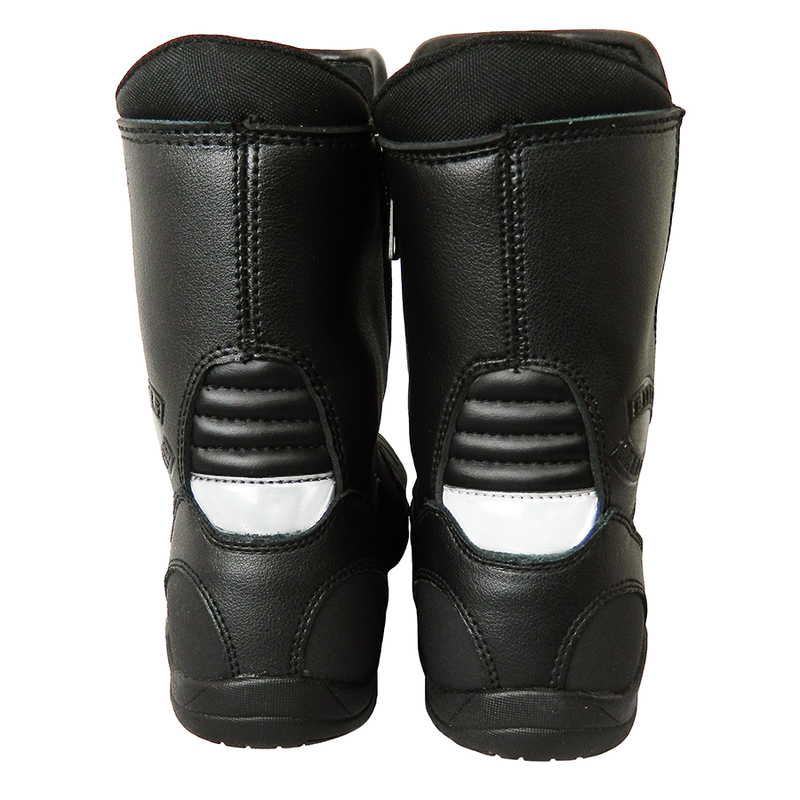 This is because this boot has a full comfort liner with comfort padding on front shin and upper back. 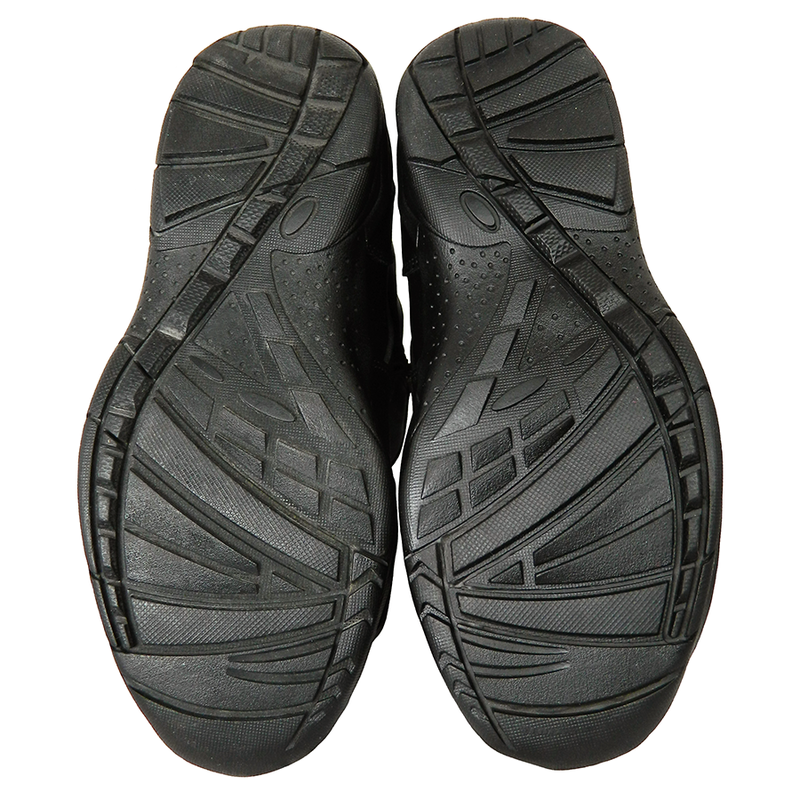 As well as elasticated side and flexible in-step and heel for comfort off the bike. A full leather boot with PU water repellent coating. A waterproof and breathable internal membrane gives you a comfortable riding experience. 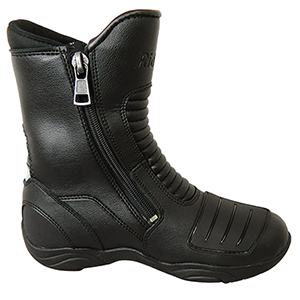 Built with reinforced construction from the heavy duty zip, shock absorbing heel and ankle protection to the gear lever and outer edge protection. Further safety features include a reflective heel piece and side piping for enhanced night riding visibility. 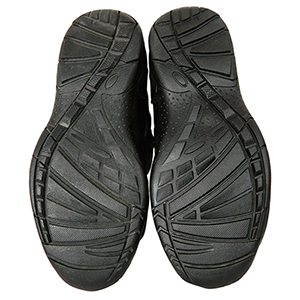 With a non-slip heavy duty tread. All the features required for comfort away from the bike, while reassuringly great on the bike!